The IRONMAN Foundation will distribute more than US$125,000 in charitable giveback to non-profit initiatives and groups in the Kailua-Kona community in conjunction with the 2017 IRONMAN World Championship, including a special initiative with YES Hawai’i to support local youth in the foster care system and granting a wish in partnership with Make-A-Wish. This year’s grant funding brings the total awarded to US$1.5 million across 1,100 Kailua-Kona non-profit organizations. 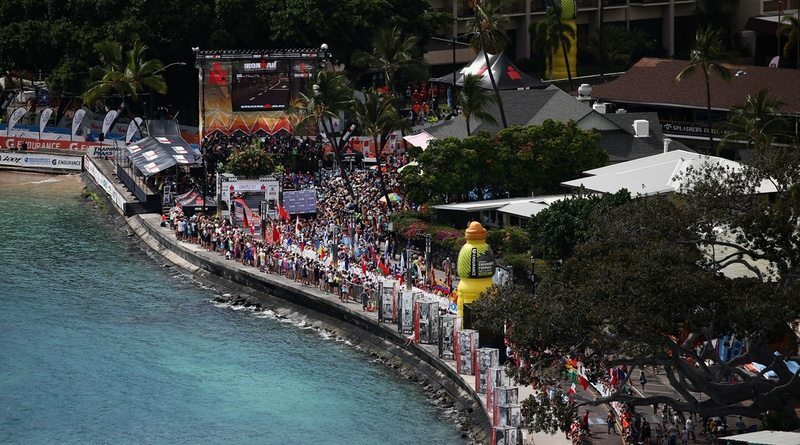 The IRONMAN Foundation will partner with YES Hawai’i, a non-profit dedicated to empowering local youth in the foster care system by creating a community and support system through organized educational, recreational and social activities. Together they have planned an excursion event that will join local youth in the foster care system with IRONMAN athletes for a manta ray night snorkel tour. In addition, YES Hawai’i will receive a US$2,500 grant to sponsor its ongoing programs with local youth in foster care. In addition to meeting IRONMAN Foundation pro triathlete ambassadors Mirinda Carfrae and Timothy O’Donnell, Nicholas Purschke will participate in several race-week events, including the IRONKIDS Keiki Dip-N-Dash and will lead the United States delegation of athletes at the Parade of Nations. The IRONMAN Foundation also presented a special grant for US$1,406 to PATH Hawai`i at the 31st Annual PATH 5k and 10k run, which took place on Sunday 8 October. PATH works with Hawai`i state and county, local leaders and community members to connect people and places on Hawaiian Islands with bikeways, sidewalks and pathways. Continuing the ‘We’ve Got Your Back(pack)’ program launched in April of this year, volunteers at the IRONMAN Foundation booth inside the IRONMAN Village will prepare backpacks for local children in need. Backpacks provided by Travelway Group International will include school supplies and sunscreen provided by Walmart, water bottles from Gatorade, healthy snacks from Clif Bar and inspirational notes written by IRONMAN athletes. The backpacks will be presented to Kids Matter and YES Hawai`i to support their participating youth. 30 athletes from around the world will race in support of IRONMAN Foundation programs, including the IRONMAN Foundation Community Fund and Women For Tri. Together they have raised a record-breaking US$850,000. The IRONMAN Foundation Community Fund provides community and volunteerism grant opportunities to non-profit organizations where IRONMAN events are held. In 2017, The IRONMAN Foundation will distribute more than US$1.5 million in grant funding to support the needs of IRONMAN race communities across North America. Since 2015, Women For Tri has distributed more than US$187,000 in grant funding to support female participation initiatives.